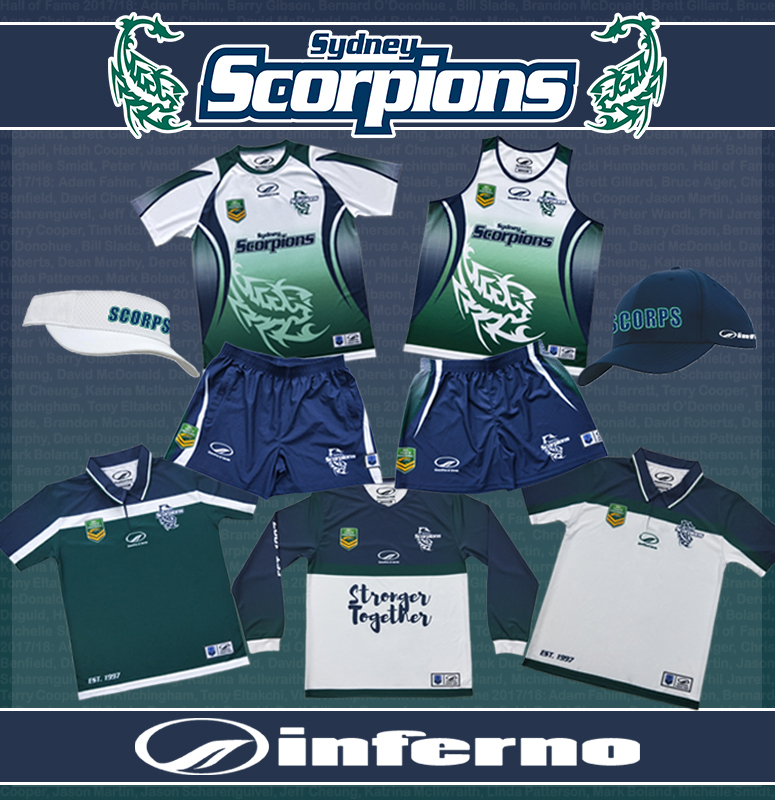 Sydney Scorpions along with Inferno are pleased to release our 2019 National Touch League playing uniforms and off-field gear designs. We are also delighted to be able to acknowledge our 27 Scorpions Hall of Fame inductees with their names appearing within all playing numbers. It’s another great way we pay respect to those who have had such a huge contribution in making Scorpions the success it is today. Bring on NTL 2019!